To submit poetry to be considered for the Catholic Poetry Room, visit our submission guidelines page or CatholicPoetry.org. 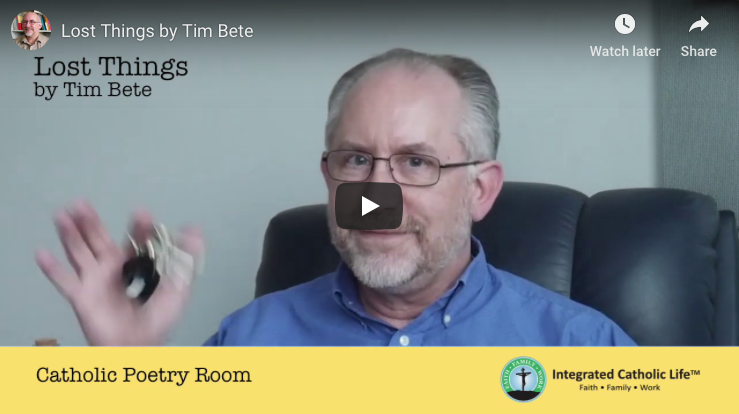 Tim Bete is Poetry Editor for IntegratedCatholicLife.org and always searching for the best Catholic poetry from today's poets as well as those of the past. 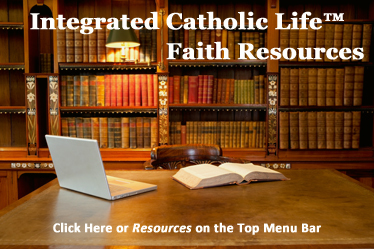 Tim is former director of the national writers' workshop at the University of Dayton—a Catholic, Marianist university. 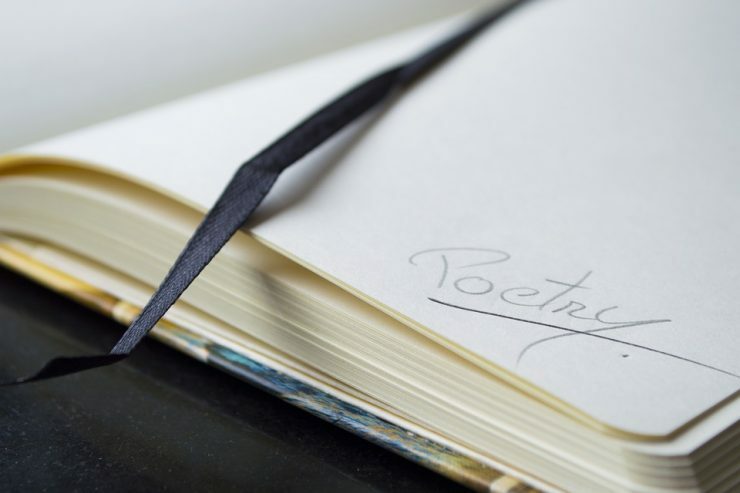 He's a member of the Secular Order of Discalced Carmelites (OCDS) and often trades poems with his oldest daughter, who is a Dominican Sister. He says she's the best writer in the family. Tim's writing has also appeared in several editions of the Amazing Grace anthology series (Ascension Press), theChristian Science Monitor, Writer's Digest magazine, and numerous parenting magazines. He is currently finishing his second book of poetry, Wanderings of an Ordinary Pilgrim.